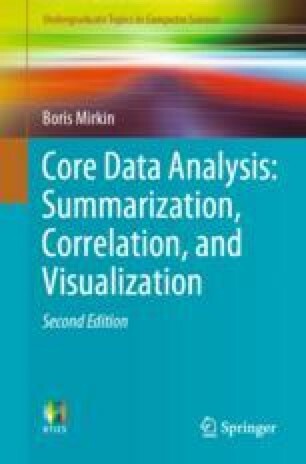 The goals of core data analysis as a tool helping to enhance and augment knowledge of the domain are outlined. Since knowledge is represented by the concepts and statements of relation between them, two main pathways for data analysis are summarization, for developing and augmenting concepts, and correlation, for enhancing and establishing relations. A set of eight cases involving small datasets and related data analysis problems is presented. The datasets are taken from various fields such as monitoring market towns, computer security protocols, bioinformatics, and cognitive psychology. An overview of data visualization, its goals and some techniques, is given. A general view of strengths and pitfalls of data analysis is provided. An overview of the concept of classification as a soft knowledge structure widely used in theory and practice is given.